The curse of Allah on those who mistreat other creation. A person who makes the following dua at the time Thahadjud salah 27 times; ‘O Allah forgive all the muslims, believing men and women’. Allah forgives him and due to his barakah for making the dua Allah makes him a means for many people’s provision. – it is like a person make’s a plea in the court of Allah 27 times. – it also means however a man who when making this plea holds grudges against someone who he has not forgiven, Allah will not accept this supplication of his. It is recorded in many hadiths peopl s who condemn others by way of oppressing them and harming them, yet comes to Allah by praying doing charity Allah in fact curses them instead of sending blessing their way. 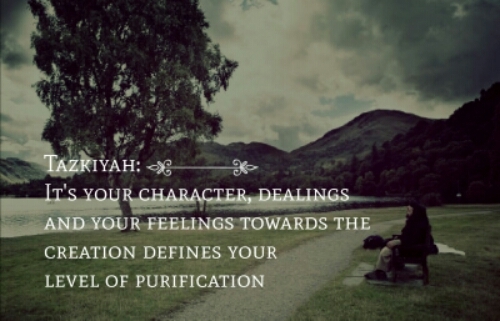 This is the importance of purification of the heart, and is one of the reasons why Allah had not made the offering prayers obligatory in the first 8/9 years of Islam. – As he was purifying his blessed slaves through his Prophet sallahu alhi wasallam. 2) is this matter beneficial for me in this world. 1) He will natrually and unintentionally feel grudges toward the person who has wronged him. There is no wrong feeling like this unintentionally. 2) To entertain this unintentional feeling and make it into a fully fledged committed pure hatred towards the other. This is the worst kind of self-inflicting harm a person kind do to himself since he will be constantly thinking evil about the other person. Many times a person’s relationship with Allah is cut because of deep rooted spiritual ills in their hearts. So deep infact a person may have forgotten they have not forgiven another person due to grudges, just simply moved on but the grudge is still there in the heart. It is like leaving a knife plunged deep into the other person’s heart and not taking out the knife to begin the mend in relationships. – he who wants the lord’s pleasure must take this step and clear their past. What if a person cannot find the person he has hurt? Do optional good deeds on behalf of that person sending the rewards to him. Sadaqa, dua, some good deeds and spread good words about him among people who he is seen as a good person in the eyes of people. What if someone has not done any wrong towards another person but that person still has a grudge against him? He should still do good towards that person and try to mend relationship with him because on the day of judgement there will be no room for the other person to bring a complaint against him in front of Allah. It may be although a person may not have done anything wrong towards another person but because a complaint has been bought in the court of Allah, Allah will question the accused. Due to his questioning many sins which he had done and were forgiven by Allah may be overturned due to questioning and that matter reappears because of that he is sent to hell. For example, in this world a person who has done no wrong may have the police end up knocking on his door due to a crime he has been falsely accused of. However, although in the courts he is proving his innocence other matters may still come up due to the process of questioning for which he gets into more trouble and that other matter may become the cause for his sentence. Previous PostThe Spring of Rabiul AwwalNext Post#MawlidDebate: Tis the time to celebrate..